I love (some) holiday traditions. They make me feel good from the inside out. One of my very favorite traditions, that has been established over the years, is my Thanksgiving Morning Cardio/Yoga gathering at the Studio. It is a time that is quite precious to me, when my dear and beloved clients come together to laugh, dance, share and give thanks, before heading off to spend the rest of their day with family and friends. 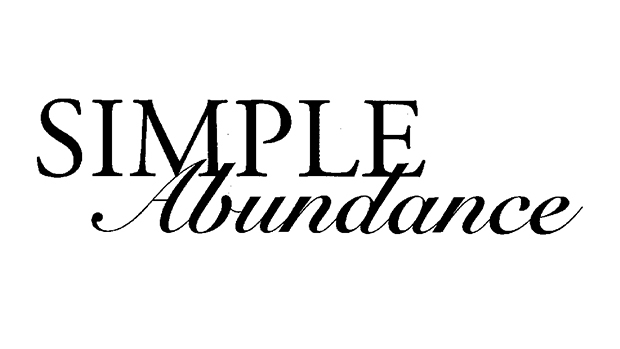 I always conclude this class with the following essay written by Sarah Ban Breathnach, from her book Simple Abundance. I hope you find it to be as beautiful as I do. The turkey is in the oven, filling the air with the fragrance of anticipation, and my heart is glad. The pies are cooling on the rack, overflowing with the fruits of the earth, and my heart is full. Conversation, companionship, and conviviality transform the rooms of this beloved home, and my heart is at peace. Soon dear ones—family and cherished friends–will gather at the table to rejoice in our bounty of blessings and with us lift up their heart in thanksgiving. As the table is set, my heart gratefully remembers the legacy of love and tradition represented in the talismans of freshly laundered linens, sparkling crystal and gleaming china. The silver shines, the candles glow, the flowers delight us with their beauty. This is good. This is very good. Let us hold fast to this authentic moment of Simple Abundance. Let us cherish this feeling of complete contentment. Let us rejoice and praise the Giver of all good. Offer grace for the bounty of goodness. Raise the song of harvest home, the glass of good cheer, the heart overflowing with joy. We have so much for which to be thankful. So much about which to smile, so much to share. So much in this season of plenty, we can embrace the season of relinquishment. All we have is all we need. O beloved Spirit, truly you have given us so much, an extravagance of riches. Give us, we pray, one thing more. The gift of grateful hearts. Hearts that will not forget what You have done. May your life be filled with blessings throughout this holiday season. That is so beautiful! Thank you Jan! Happy Thanksgiving! !